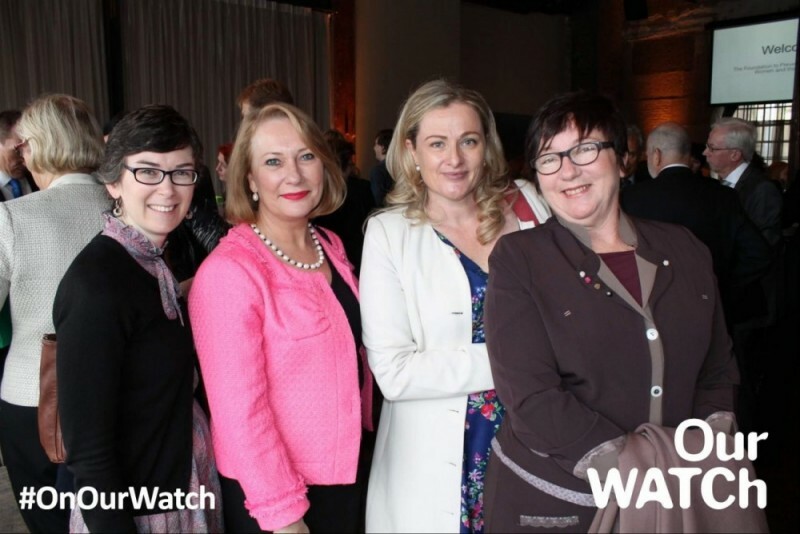 Sophie from the Australian Women Against Violence Alliance, Teresa Scott, NAPCAN President and Leesa Waters, Deputy CEO with Kelly Banister, Australian Women’s Health Network CEO at the launch of the Our Watch campaign. Teresa Scott, NAPCAN President and Leesa Waters, Deputy CEO with the Multi Mix Mob, NSW Play Your Part Award Recipients for 2012 at the launch of the Our Watch campaign. Still inspiring people around them. Well done!